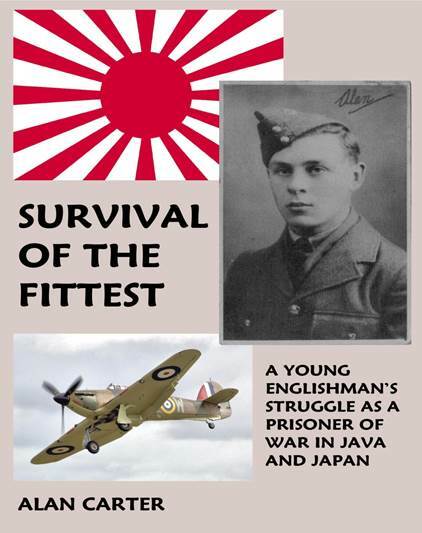 True story of a young Englishman's struggle as a POW in the Far East. Alan Carter was an aircraftman with RAF 605 Squadron, sent to the Far East in December 1941.Captured by the Japanese in Java in March 1942, he spent 6 months in Boei Glodok prison before being transferred to Japan on the notorious hell ship Tofuku Maru. He then endured the harsh conditions of the far north at Hakodate and Bibai POW camps, with strenuous daily work at the coal wharfs and docks. In the camps, disease and malnutrition were always a problem. Many men did not survive the inhumane regime of their Japanese captors but Alan was a survivor. This is his story, poignant and thought provoking, but also full of fascinating insights into his 3½ years as a POW.